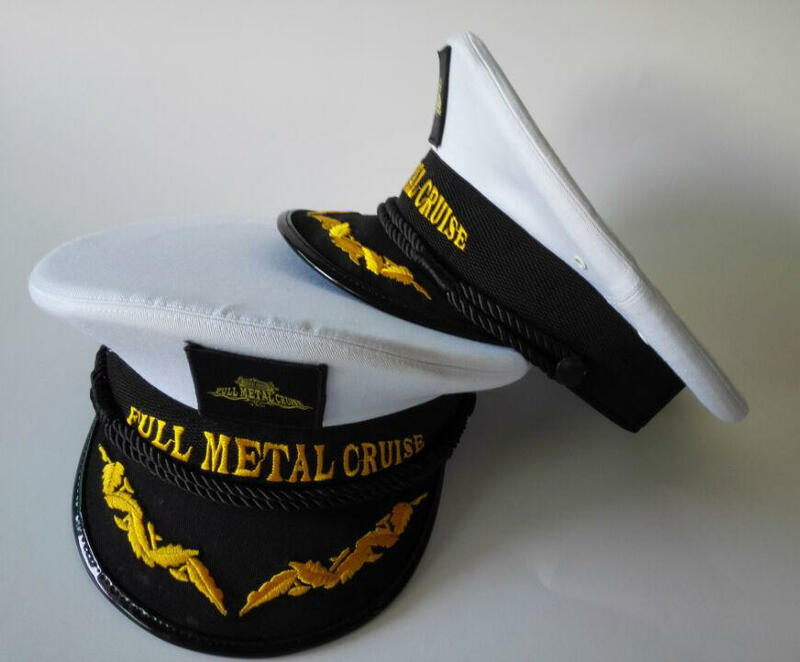 This traditional captains hat makes you the captain of you very own Full Metal Cruise. 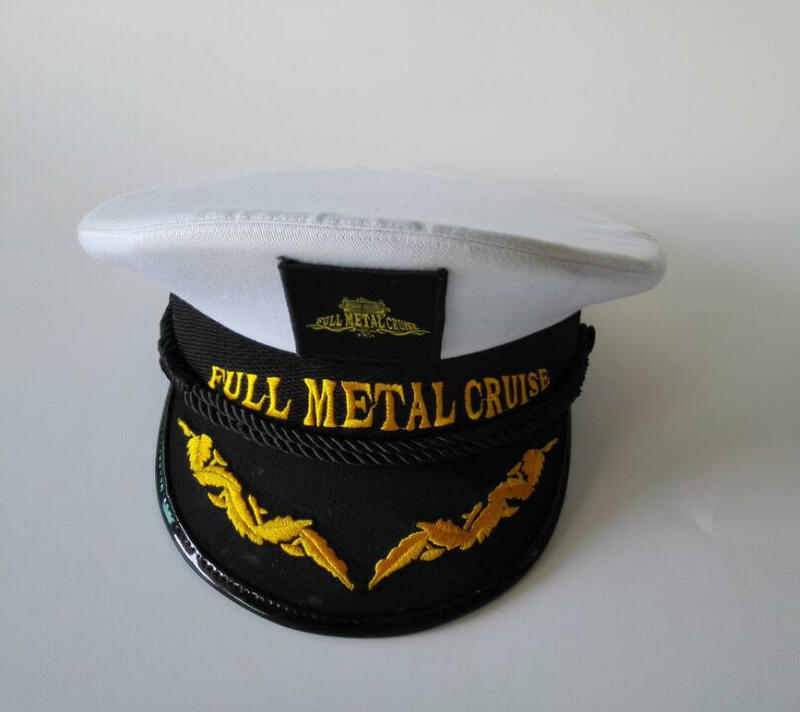 On front of the white top you find a patch with the FMC logo, the hats black edge and the visor are embroidered with a golden "Full Metal Cruise" lettering and a wave pattern. 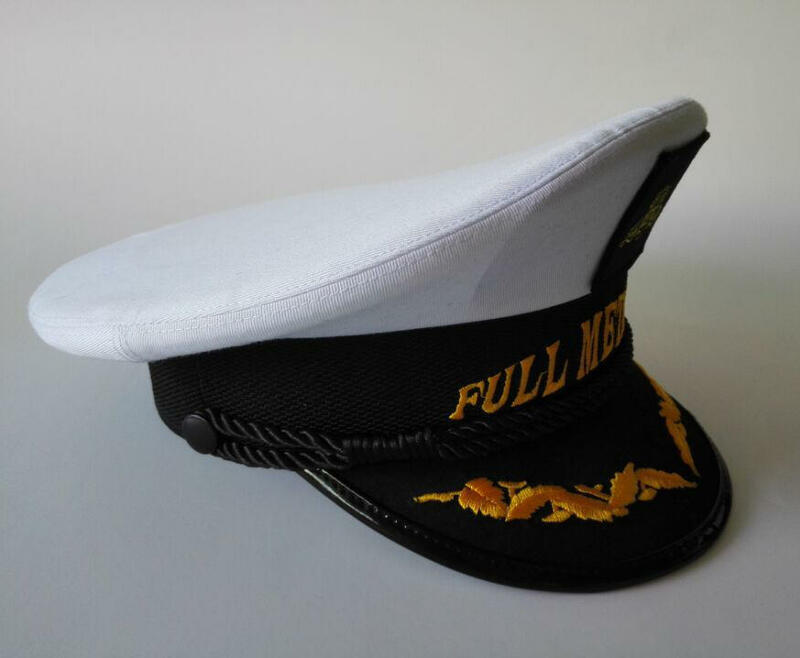 A black cord fastened with two black buttons on both sides rounds out the design.